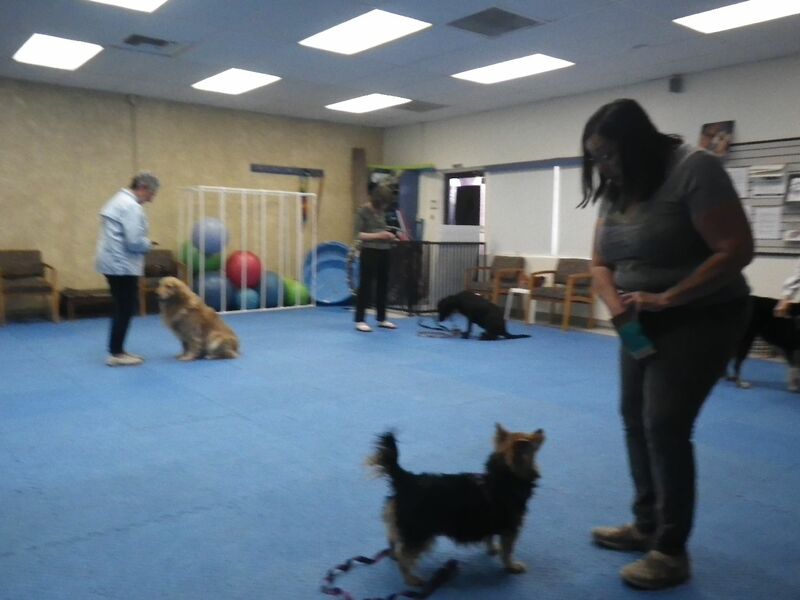 Come and train your dog in a fully air conditioned studio with non-slip floors, lots of equipment, and trainers available to assist. The Play Your Way Training Club is now open. Please call 727-686-4246 if you have questions. Price is $40 per month or $5 per visit. There will usually be a trainer available to assist with any issues in training. Each day will have a suggested curriculum of games. Each game is generally played for 5 minutes. Each month will have a theme (loose leash walking, precision heeling, retrieving, focus, engagement, self control, anxiety issues, reactivity, etc) and all the games posted for that month will relate to that theme. Our trainers are certified or pursuing their certifications. In addition to the Training Club, Wednesday nights at 6 pm will be the weekly seminar. This is free to those who are on a monthly or yearly billing schedule. We are open between 3pm and 8pm Saturday through Wednesday (closed Thursday and Friday). There are classes from 4:30 to 8 pm each of those days. Training Club members are welcome to join a class and do the games for that lesson with permission of the training in charge of that class. Obviously a reactive dog would not be allowed in most classes. There are two training rooms. One is 1000 sq ft and the other is 300 sq ft. The entire facility is air conditioned. All floors in the training rooms are non-slip. Equipment is available for rent for training obedience, rally obedience, musical freestyle, treiball, fitness and puppies. Rent for equipment is $5 per 30 minutes. Please ask before grabbing equipment. We look forward to seeing every one here !!! A visit is for one hour (60 minutes).